Life as a young parent is already expensive. That is why, at Babboe, we want to keep our prices low. It all started with four young fathers in 2007. They all wanted a cargo bike to transport their children back and forth to school. However the cargo bikes on offer where highly expensive and only for sale through a bicycle store. The idea that a cargo bike could also be available at an affordable price without making a concession to the quality was born. Our cargo bikes are only available online, which means we are able to offer affordable cargo bikes. We can do this without compromising on quality.  Babboe works together with various partners and so you’ll always get the benefit of a good deal. You can check out our promotions and see if there's something extra in it for you. "A relatively inexpensive cargo bike with the best price-quality ratio!" We do not spend money on expensive TV commercials. you won't find us advertising on billboards or other expensive advertising locations. We don't make high profit margins. Our primary focus is online sales and exclusive dealers. We havent spend money on an expensive showroom. We work with a small team of dedicated persons to make the most affordable cargo bike of the highest quality. Our staff isn't paid based on provisions. We aim to make the best cargo bike suitable for parents. In short: Safe yourselves a lot of money and buy a cargo bike of high quality. How does Babboe ensure an affordable cargo bike? Babboe can offer relatively cheap cargo bikes compared to other cargo bike brands. Babboe was founded by parents who wanted to offer affordable cargo bikes to other parents. With more than 10 years of experience and developing cargo bikes for families. Babboe knows what to do. Together with various partners in the bike industry, we know how to develop the best cargo bikes. In addition, we use all the feedback we receive or our users, young parents with children, to optimise our cargo bikes. Do you think we can improve? Do let us know and contact us. With more than 10 years of experienc, we know best what is important to keep cycling. Spokes are a very important part. Togehter with Weinmann, the specialist in developping rims, we have optimised our spokes. Babboe now has a special rim for cargo bike on every cargo bike. These rims are double-walled and have special spoke holes allowing the spokes to be placed at an angle. This is important as it not only provides vertical forces but also horizontal forces. With a speical machine we check if all spokes are placed correctly and at the right tension ensuring them not to brake. The box of a Babboe Big, Dog or Transporter is made of European birch concrete plywood. The box of the Babboe City, Curve and Carve are made of European beech wood. Seeing our cargo bikes are places outside a lot, the sevaral layers are glued together with a waterproof material. The edges are treated with an edge seal, making them better protected against wheather influences. The used wood from the Babboe baoxs are made with FSC wood. The Forest Stewardship Council (FSC) is an international organiszation dedicated to conservation and responsible forest management worldwide. FSC speaks of responsible forest management when the ecological, social and economic aspects associated with forest management are taken into account in an balanced way.